NorCal MINIS | Northern California's Premier MINI Cooper Club: We're Number 2! We're Number 2! 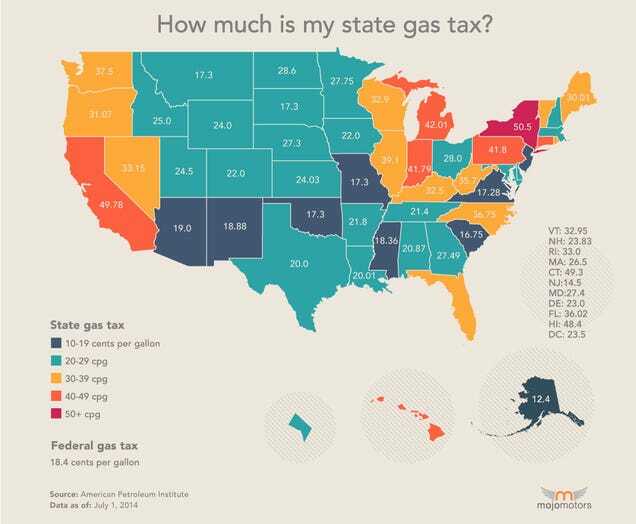 This infographic, discussed in detail at Oppositelock, reveals California has the second highest gas taxes in the nation at $0.49.78 per gallon, less than a penny behind New York's $0.50.5 per gallon. If you want to pay the lowest gas tax in the United States go to Alaska where they are only $0.12.4 per gallon.